Mahesh Babu has taken box office by storm with Srimanthudu. It is doing exceptionally well in weekdays too. It did good business in Nizam on Day 6 and equally well in Ceeded and Andhra too though yesterday Rain effected in most of the areas still it managed to get decent shares. Other wise it could have collected easily 70 to 80 Lack more. 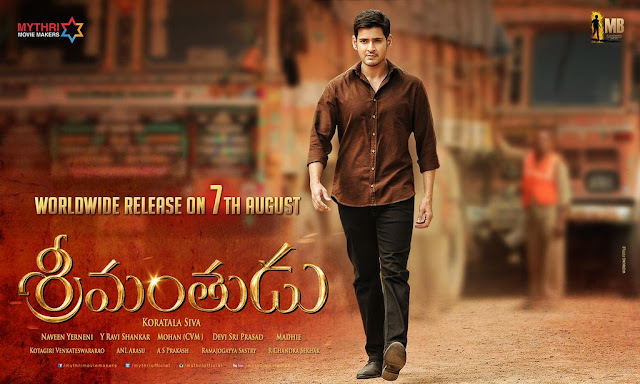 Srimanthudu 6th Day collections are 2.3 Cr In AP & Nizam with that Srimanthudu 6 Days Total Collections in AP & Nizam are 37.24 Cr (Share). Total worldwide collections are close to 56+ Cr. below is the area wise breakups.